A facial can offer your skin a deep cleansing and help you achieve a better complexion. Your therapist will analyse your skin type and create a facial specifically for you. With the addition of relaxing scalp massage. 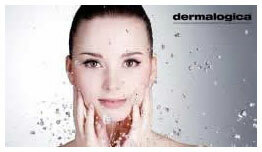 Cleansing is essential in promoting and maintaining a healthy complexion. It will exfoliate dead skin cells, improving the appearance of the skin; remove dirt, makeup and pollutants, reducing the possibility of blemishes and skin irritation; remove sweat and sebum, reducing congestion. You will receive both a superficial and a deep cleanse. Toning removes all traces of cleanser, grease and skincare applications. It cools and tightens the skin, as well as restoring the acidic pH balance. Moisturiser protects the skin from external damage; softens the skin and relieves sensitivity; provides moisture to the skin, reducing the appearance of fine lines; provides a barrier between the skin and cosmetics. 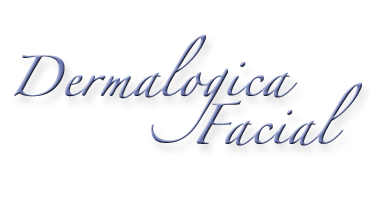 Exfoliation removes dead skin cells, grease and dirt from the surface of the skin. It exposes fresh, new cells, improving the appearance and the skin is more suitable to absorb moisturiser. It stimulates blood circulation. Face Masks contain a variety of different ingredients suitable for your skin type. These ingredients are chosen to have a deep cleansing, toning, nourishing or refreshing effect on the skin. Facial Massage can improve the appearance of the skin by shedding dead cells and exposing fresh, new ones. The tone and strength of the muscles are improved and they receive a burst of oxygenated blood, encouraging skin growth. The tissues are warmed through the increased blood circulation and it induces relaxation. The lymphatic system is stimulated, which speeds up the removal of waste products and toxins, as well as reducing appearance of puffy skin.